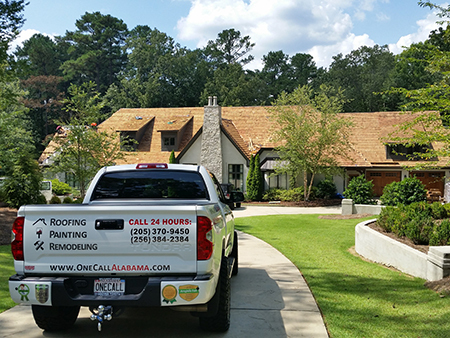 If your roof has aged beyond repair, been damaged in a storm or you want to upgrade, then getting a Homewood, AL Roof Replacement is your best option. Get the energy efficiency, style and protection you have always wanted and at a great price! 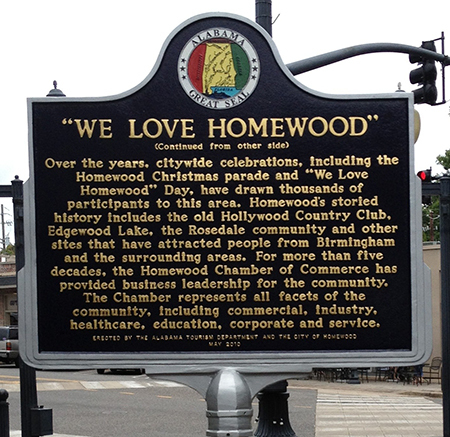 Don’t Pay Too Much For A New Roof Just because you live in Homewood! Get a New 50 Year warranty roof installed at a fair price. We can install any type of residential or commercial surface including asphalt shingles, metal, tile, slate and wood shake – plus all varieties of flat roofing and coatings. We are the roofing contractor you can trust. When you need a roof placement in Homewood, you won’t find better service and workmanship. When we say we’ll be on time, we will be. When we agree to a job, we will do it as requested. If you ever have issues after the job is done, we will return quickly. All of our technicians are highly trained, licensed and insured for your protection. Taking the time to ensure your roof is installed properly makes all the difference in the world. This is why we make sure your roof decking is solid and your underlayment is watertight. We also check or re-install the metal flashing along all edges and angles and we make sure ventilation is adequate. If bad weather has left damaged shingles, lifted panels or cracked tiles, you can often replace it for the cost of your deductible. Call for emergency work 24/7. You will find we are the most responsive service in the area. We will work with your insurance company to get you the maximum coverage. Architectural shingles – Weighing only slightly more than conventional three-tab, these provide a highly dimensional look. Some offer “cool roof” energy efficiency as well. They can mimic the look of slate and wood without the expense and weight. Some are warranted for a full 50 years! Carry out your shingle roof replacement in Homewood with confidence! We carry all premium makes including GAF, Atlas, and we are a Platinum Certified Contractor for the CertainTeed brand. That means our workmanship exceeds industry standards. Metal – For energy efficiency, longevity and leak protection, metal has what you need. The investment pays for itself in terms of low maintenance, 20 percent lower cooling bills and no replacement costs. Metal lasts 50 years or far longer. See the newest choices including amazing, lightweight aluminum. Slate – Natural stone is impervious to water, fire, insects and wind. It gives a home or building an historical feel and can last 100 years or more with proper care. If your structure can’t support quarried slate, there are wonderfully lightweight, engineered substitutes on the market. Shake and wood shingle – Natural wood that is hand-split or machine sawed provides your home with undeniable unique looks and top-notch insulation. Choose from red cedar, pine, cypress and redwood. Clay tile – Natural, kiln-fired clay comes in an array of colors and profiles that may surprise you. It is dense, heavy and lasts a lifetime with proper waterproof substrate. Flat roofing – Whether you have a business or a home, our flat roof systems offer easy maintenance and first rate workmanship. We offer a full range of choices in single-ply (TPO & PVC) membrane, built-up, modified bitumen, roll asphalt and flat seamed metal. You can cut your energy bills up to one-third with a highly reflective roof. Choose from silicone based white roof coatings that are sure to look great and save you money. These roof types may qualify for tax credits. Let us also evaluate your insulation to give your roof longer life and your HVAC greater efficiency. Our founder has built over 300 homes and our company knows how important quality roofing is. When we replace your surface, we will automatically give you a $500 credit toward other home repairs – the kind we all need from time to time – including flashing, siding, wood trim, painting and sheetrock. If your repairs add up to less than $500, you will not pay a dime! We are a licensed roofing contractor specializing in Homewood, AL Roof Replacement.